Colleen Reid has always had a passion for residential interior decorating and started Reidesign Home Staging a number of years ago providing decorating services. More recently, Reidesign has expanded to provide home staging services to homeowners and realtors in the Airdrie and Calgary areas. This service helps create the most appealing property possible, as it is readied for the real estate market. Home staging allows your home to be differentiated from the others, as it will have the professional look that will make potential home buyers take notice. Home staging is a service executed by a Canadian Certified Staging Professional to enhance property presentation using lifestyle-selling techniques. Staging is actually a three-step process used to prepare property for sale, regardless of price or location. Staging techniques will bring out the home’s best features in order to help secure an acceptable offer from the buyer. Less time on the market means lower homeowner costs. The first 5 to 7 minutes of viewing a home is the most critical. 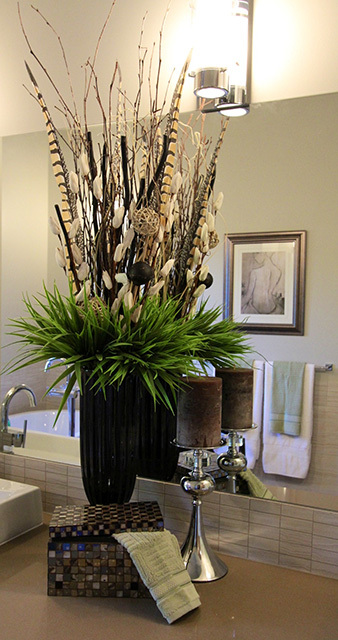 First impression is critical, home staging creates positive first impressions. Staged homes sell for more than homes not staged. Designed by Millenium Consulting of Calgary.